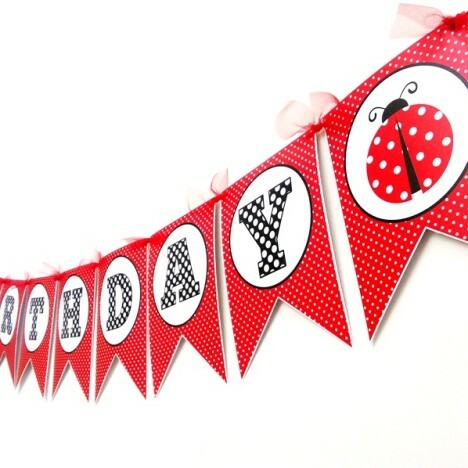 Cute Ladybug Birthday Banner for your child’s birthday party. 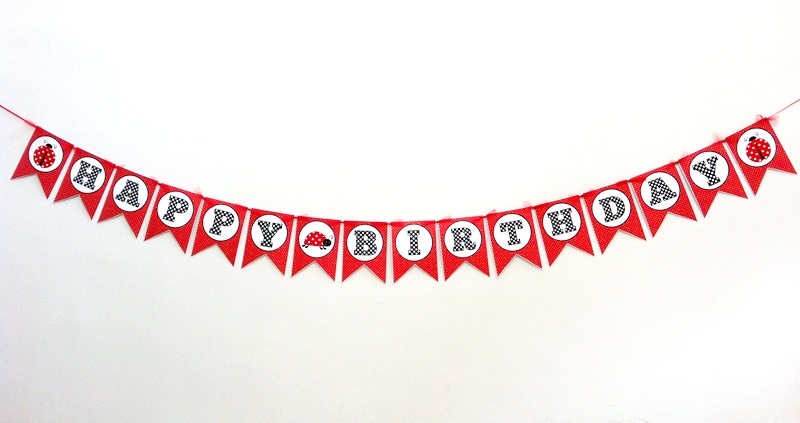 This cute banner says HAPPY BIRTHDAY with 3 (three) ladybug images. 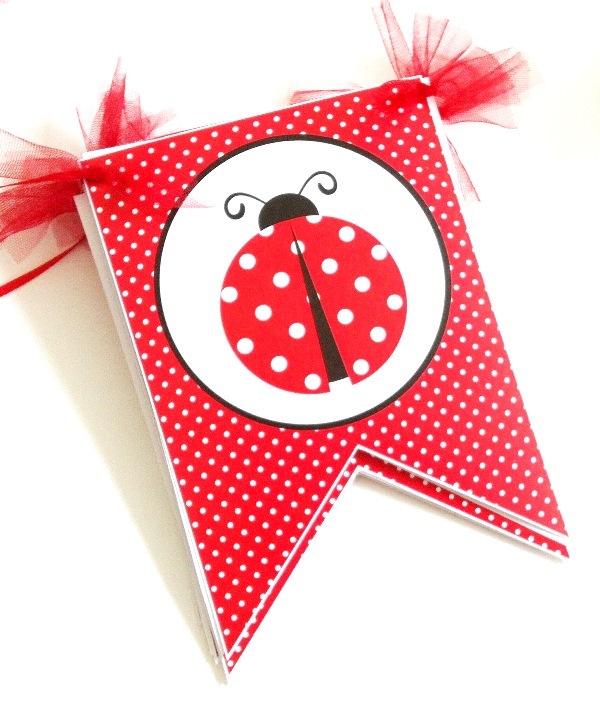 Polka dot pattern in red is the appropriate pattern for a Ladybug theme for a little girl. Red, black and white are the 3 colors we are using here. 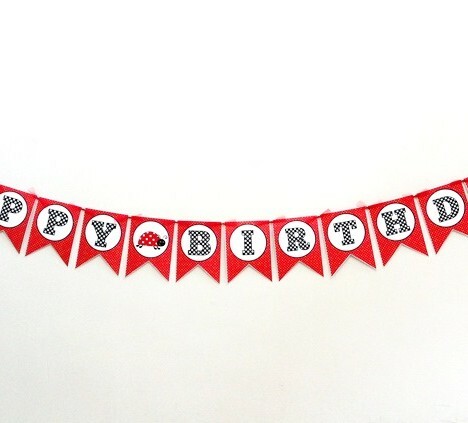 This banner has a total of 16 (sixteen) double-tail pennants, in which one letter or image per pennant. 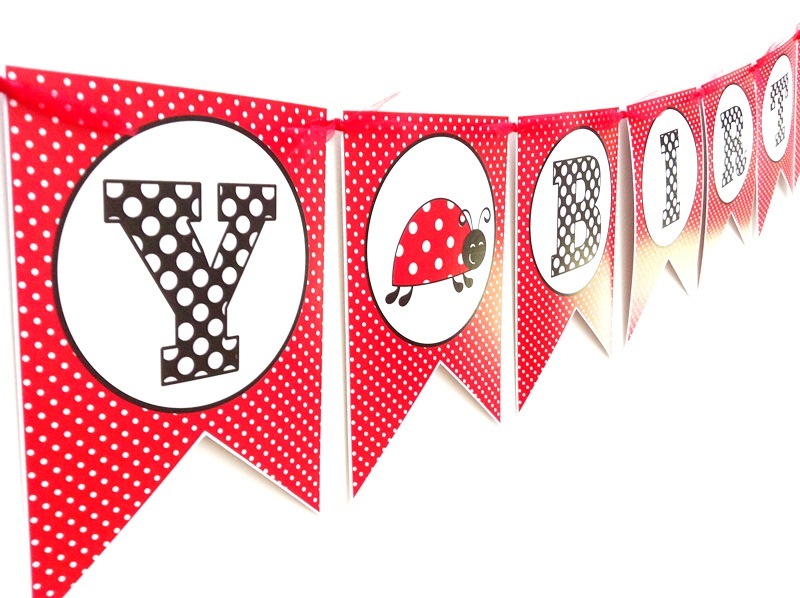 Each pennant is individually cut and assembled into one beautiful banner. 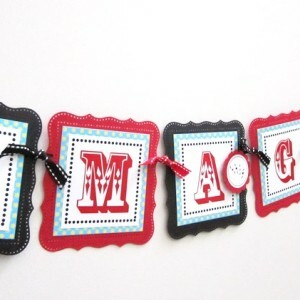 It simply an adorable banner, one of a kind, made with love. It’ll be perfect as a photo prop as well. 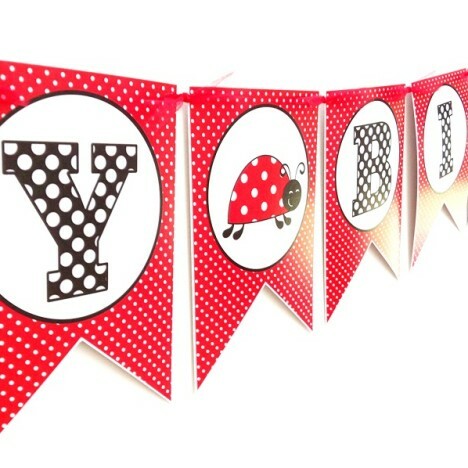 Each double-tail pennant is about 5 inch (12.7 cm) wide and 7 inch (17.78 cm) high. There will be enough ribbon on each side. 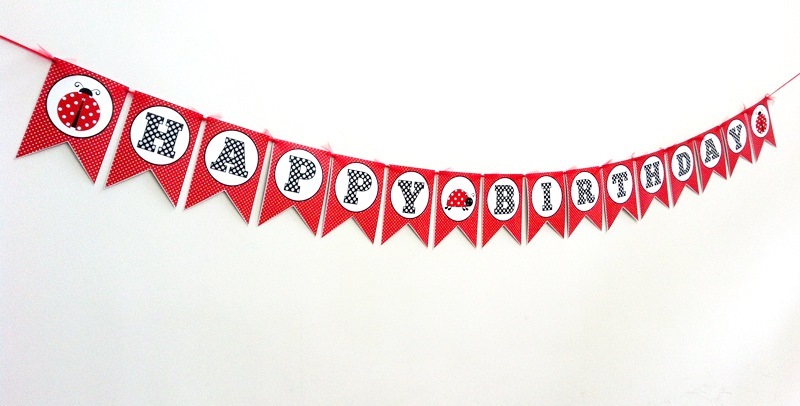 This banner is adorned with tulle. 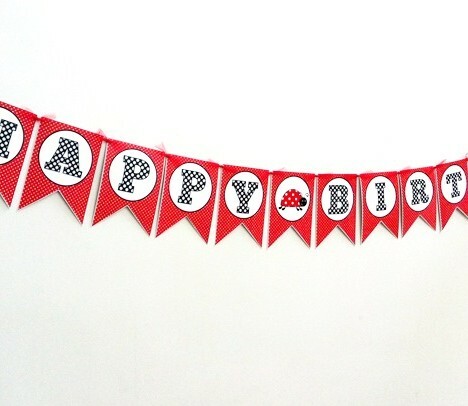 Should you like to personalize your banner, please let us know. 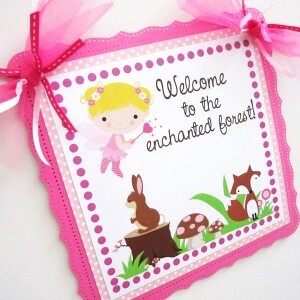 We can customize it with name, age or any other texts such as Baby Shower or It’s a Girl. 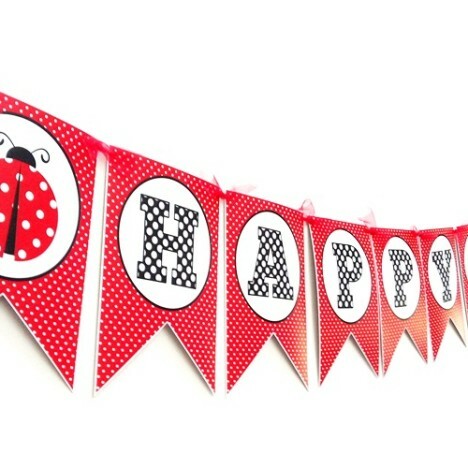 As suggested by others, Ladybug theme is perfect for Baby Shower, Tea Party, and a Family Reunion Picnic, to name a few. Please use Contact Us. 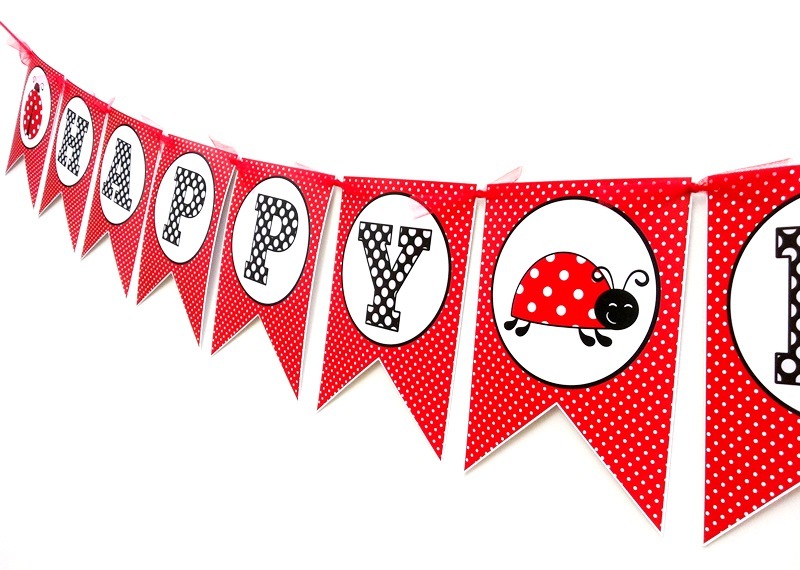 Let’s help you in creating an unforgettable and fun Ladybug party for your girl! 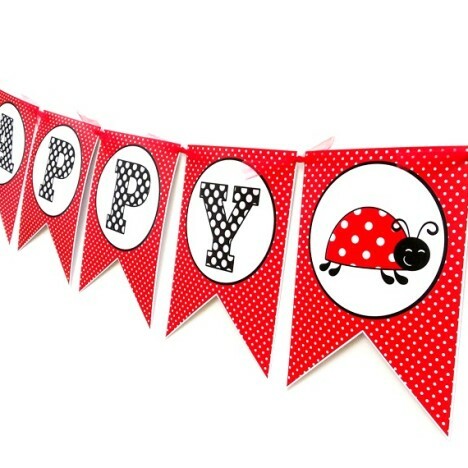 Are you looking for party decorations that compliment to this Ladybug Birthday Banner? 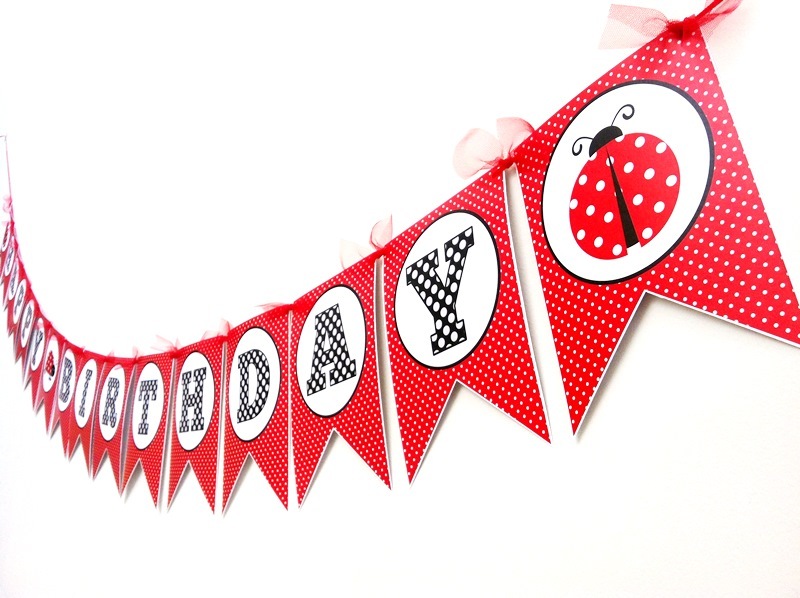 This Ladybug Birthday Banner is featured at Kiser Krafts and Begangstress. 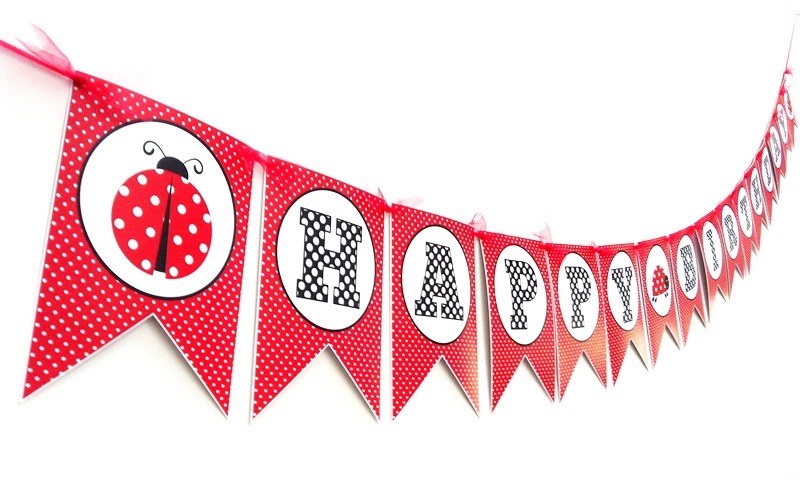 Fact about Ladybugs: Ladybugs aren’t really bugs at all, they’re bettles. 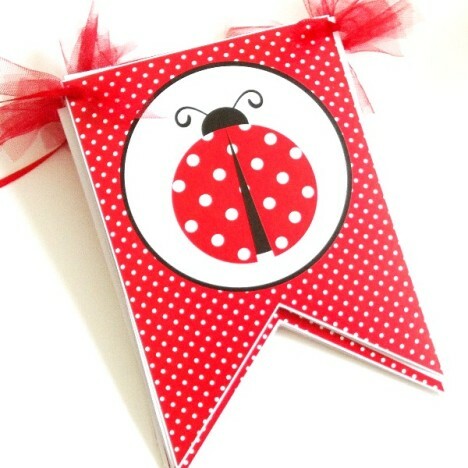 They are known as ladybirds in Britain and Ireland. Some call them Lady Cows.